The right back, Emmanuel Eboue has been on a year ban by FIFA due to his failure to pay a former agent, FIFA has confirmed. The former Sunderland player, who only signed for Sunderland on March 9 and got released after 22 days, got the sanction from FIFA’s disciplinary committee after his former representative Sebastien Boisseau cried out for failure in payment. The ban restricts the Ivorian from performing in all football related activities and meanwhile, be lifted once Eboue pays the money owed to Boisseau. The 33-year old Eboue filed the matter to the Court of Arbitration for Sport (CAS), unfortunately, his appeal was immediately dismissed. However, following his failure to abide with the ruling made by the single judge of the Players’ Status Committee on the basis of art. 64 of the FIFA Disciplinary Code, he was sanctioned and handed a fine of CHF 30,000. 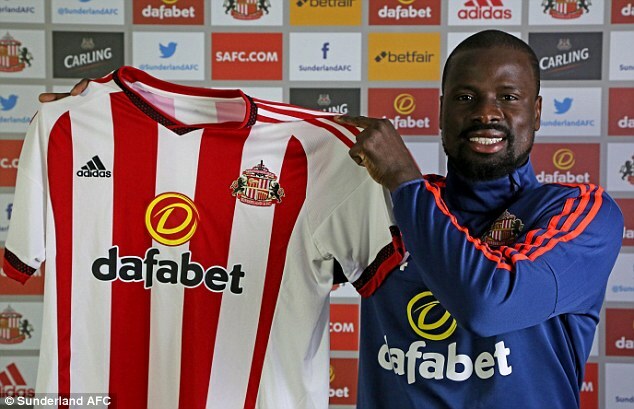 The decision shocked Eboue as his former side Sunderland released him on March 31th, 2016 since he would not be playing for the club. He is currently a free player under the imposition of ban.